The Lady finalists had to wait over two hours after their intended start time before they could take to the Centre Court and battle for the Rosewater Dish. All the dignitaries were already in place, from the Dutchess of Cambridge, Kate, to the newlywed Dutchess of Sussex, Meghan, a personal friend of Serena’s, and everything was ready for the big n.24 of super-mama Serena Williams. 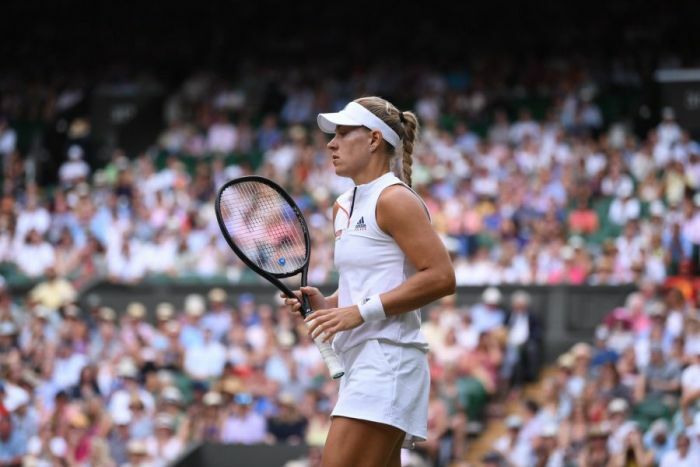 But Angelique Kerber had other plans for the afternoon: she came out playing her trademark counterpunching tennis without any fear of being overpowered by Williams. The American champion, on her side, paid her dues for a physical fitness that has still not recovered 100% from the pregnancy and was outplayed by her opponent who used her arsenal of shots very effectively and led the match from start to finish. A tense Serena started her match with a few unforced errors and let her opponent take an early 2-0 lead. 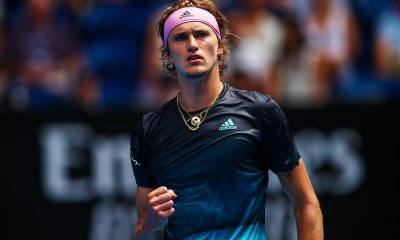 But it didn’t take long for the 23-time Major champion to settle into the match and level the score at 2-2 with a quick break-back in the fourth game. 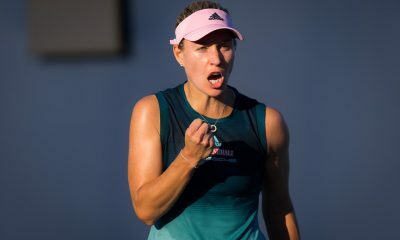 Kerber did not seem rattled by the power of Serena’s groundstrokes and her serve was effective enough to keep the American’s aggressiveness at bay. Two crucial double faults in the seventh game, together with another unforced error with her forehand cost Serena the second break of the match and the lead in the score that she would never get back. 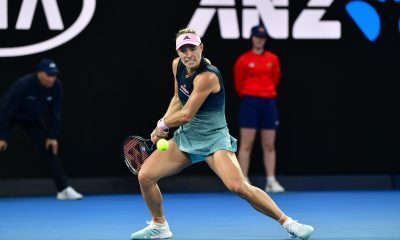 Kerber continued to play her consistent baseline tennis, taking advantage of the mistakes from Williams, very eager to take control of the rallies from the get-go, but not accurate enough on the day to make her strategy work. Half an hour was enough for Kerber to win the first set and move much closer to her dream. Her serve was holding up remarkably well against Williams’ threatening returns and she was able to get into rallies during her opponent’s service games. The first few games of the second set went by quite uneventfully, except for a running forehand by Serena that almost ended the match by knock-out. Kerber kept working hard on her game using the “dropshot-lob” sequence with varying degrees of success, but never had to face a break point and only allowed her opponent to get to “deuce” once during her service games. The deciding break arrived in the sixth game when two unforced errors by Williams and an unwise net approach by the American providing Angelique with an easy chance for a passing shot.